Today is 09/09/09, the day that Leica has said that they will make some new announcements catering to different crowds of people. 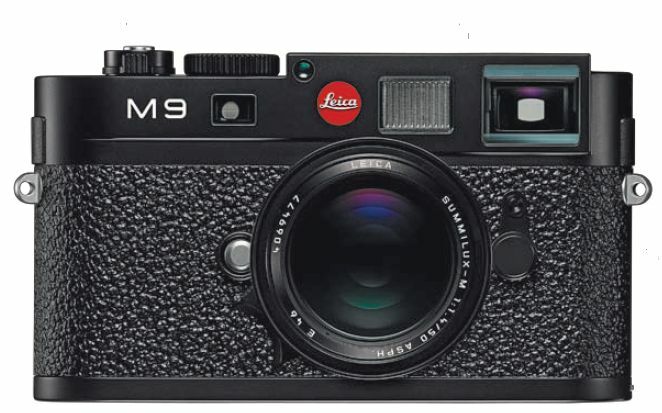 So far, we’ve seen and heard so many rumors about the new Leica M9 that may be coming our way. According to LeicaRumors.com we’ll also possibly be seeing the X1 and the R10. Here’s what we’ve got for you so far since the webcast hasn’t begun yet here in NYC. The Leica M9 is set to be announced on Wednesday, September 9, 2009; however, a tipster sent a very official-looking brochure for the Leica M series (including the M9) to me today. The Leica M9 brochure reveals that the new camera packs an 18-megapixel, full frame 24 x 36mm CCD sensor. The new CCD sensor appears to be a totally redesigned sensor, which uses a special layout of micro lenses to assure “uniform exposure and extreme sharpness from corner to corner in every image.” Additionally, the sensor is couple with a new filter to suppress infrared light; however, the a moiré filter was not included due to concerns of “image deterioration through loss of resolution” and the need to ensure maximum resolution of fine detail. Sensitivity range covers ISO 80-2500. As you can see from the images, the Leica M9 offers a 4-way switch and dial on the rear, along with a 2.5-inch LCD screen. In an interesting move, the Lecia M9 is supplied with Adobe Photoshop Lightroom as its RAW processing software. Purchasers of the Leica M9 can download the software for free. For its RAW format, the Leica M9 uses Adobe’s DNG standard. Speaking with Leica representatives at PMA 2009 about the Lecia S2, I was told that this decision was a natural fit due to Leica’s in-house software development limitations. Using a universal standard gives Leica the ability to focus on hardware. The Leica M9 produces 16-bit DNG files for maximum quality.